For those in the medical profession, now is a good time to thank your team members for their contributions, and share with them valuable educational resources to further their professional development. 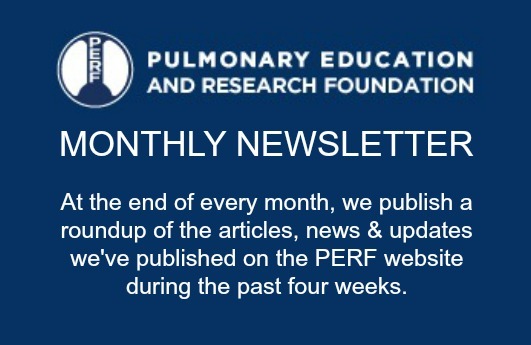 It also might be a good time to order one or more copies of an educational video series on the role of pulmonary rehabilitation in managing COPD. Created through a partnership between the American Lung Association of California (ALAC) and The American Association of Cardiovascular and Pulmonary Rehabilitation. (AACVPR), Take Control of Your COPD: A Guide to Better Living offers demonstrations and instructions for many critical elements of pulmonary rehabilitation. The video series is intended for patients who suffer from COPD and their caregivers, and it discusses the role of pulmonary rehabilitation, including strategies to improve symptom control, function, and quality of life, as well as collaboration with the medical team. Consider offering this resource to your patients who cannot attend traditional pulmonary rehabilitation classes or who need an update. The video also can serve as a valuable resource for pulmonary rehabilitation clinicians and other caregivers. Pricing for the video sets ranges from $20 per set for an order of 1 to 5, to $12 per set for orders of 100 or more. Click here to download an order form. McLaren-Northern Michigan’s pulmonary rehabilitation program celebrated patients’ accomplishments made possible with the help of PR. One patient who plays bass performed with his band for the program patients and staff. Another patient, a PhD in English Literature, presented a lecture, and another patient, an artist, brought artwork to share with program patients and staff. St. Catherines hosted a jump-off luncheon the week prior to National Pulmonary Rehabilitation Week with vendors, speakers, games, and fun. The program also hired a massage therapist to give clients free therapy, and planned multiple surprises for clients during the following week. Staff at the Broward Health Wellness Center celebrated its AACVPR certification (2014) and its recognition by Governor Rick Scott, who proclaimed national PR Week in Florida. The staff also hosted its third annual PR lecture in which Dr. Glenn Singer presented, “Diagnosing Lung Illnesses.” They also had testimonials of past program participants, who told how PR helped them feel better and do more. The celebration continued with one-month memberships to the Wellness Center for employees of Broward Health who successfully completed a lung health word search. Unity Point Trinity Regional Medical Center marked the week by celebrating its 20-year anniversary of pulmonary rehabilitation. The Center hosted an open house with staff and Better Breather’s Club members, where special refreshments were served and door prizes were provided.